Few of these great authors sought fame and fortune, they simply wanted to pass on to others the truth they had found within. In each of their Free PDF books these authors have left behind a priceless gift to humankind. An option prior to purchasing these books, or any book for that matter, is to do a search at your local library. If they hold the book you are interested in, borrow it for a while and if you really love it then you can purchase it. It's a fantastic and FREE way to try before you buy! November 28, 1864 - January 24, 1912. James Allen was a British author, residing in Ilfracombe, England where he moved after completing his first book From Poverty to Power. He is best known for his second book, the inspirational and motivational work As a Man Thinketh which was published in 1902. Find out more at Wikipedia. "Perfect love casts out fear." ~ ACIM"
December 5, 1862 - November 22, 1932. In order to maintain his privacy Wiliam Walker Atkinson worked under the pseudonyms of Theron Q. Dumont and Yogi Ramacharaka. Mental, physical and financial ruin led Atkinson to discover the theories and philosophies found in his works. Find out more at Wikipedia. 1881 - 1960. Genevieve Behrand was born in France to Scottish parents. She was the only personal student of Thomas Troward and she studied with him from 1912 to 1914. After these two years she set up the new thought School of the Builders in New York City. She traveled extensively throughout the United States lecturing on mental science and metaphysics. Her book Your Invisible Power was published by the Elizabeth Towne company. Find out more at Wikipedia. January 3, 1872 - September 24, 1938. Joseph Benner was a Western metaphysical author. His first book, The Impersonal Life, was published in 1914 under the pen name anonymous, which he used for all of his works. His true identity was revealed after his death by his family. Benner believed that his books came directly from God. Elvis Presley was said to be Benner's biggest fan. He gave out hundreds of copies of The Impersonal Life to friends and acquaintances, saying "you have to read this". Elvis believed, as did Benner, that the divine light is embodied in all of humanity. Find out more at Wikipedia. "We live in mind and it can return to us only what we think into it." 1886 - May 30, 1994. Robert Bitzer founded the Hollywood Church of Religious Science in 1930 at the request of Ernest Holmes. Services were held at the prestigious Hollywood Roosevelt Hotel until the church found a permanent base on Sunset Boulevard. In 2005 this establishment was sold to The Science of Mind Center of Hollywood. Bitzer served his congregation for 64 of his 98 years, speaking at weekly services until a short time prior to his transition. Bitzer was survived by his wife of 53 years, the late Marguerite Bitzer who was also a minister of Religious Science. The Bitzer's believed that a positive outlook and directed thought shaped one's life. Free book coming June 30, 2019. Would you like to read it now? Sign up here. Kate Atkinson Boehme was an American new thought writer. Arguably her most famous work was Mental Healing Made Plain which was published by Elizabeth Towne. She also published articles in Elizabeth Towne's Nautilus Magazine that dealt with health and healing through the application of right thought. Find out more at Wikipedia. July 12, 1848 - January 3, 1941. Born in New York, Harriette was a homeopathic physician, author and metaphysician. She was greatly influenced by Ralph Waldo Emerson and worked with other new thought practioners including Emma Curtis Hopkins, Charles and Myrtle Fillmore and Ernest Holmes. Find out more at Wikipedia. "As for real chicken soup, I have it once or twice a week." August 19, 1944. Jack Canfield is an American self help author. His most famous works are the Chicken Soup for the Soul books which he wrote in conjunction with Mark Victor Hansen. He appeared on the DVD and in the book called The Secret by Rhonda Byrne. Find out more at Wikipedia. You can also listen to the abridged version of Jack Canfield's The Success Principles here. April 19, 1885 - 1950. Robert "Bob" Collier was an American new thought author. Collier suffered from a chronic illness and cured himself through mental healing. Although he doesn't affiliate his work with any specific religion, he studied new thought, metaphysical and success principles similar to those taught by the Unity Church. The main lesson Collier teaches in his works is the unlimited potential within all of us, which can be accessed through our subconscious mind. February 26, 1857 - July 2, 1926. Known simply as Emilé Coué he was a psychologist and pharmacist of French origin. He introduced a popular method of psychotherapy and self-improvement based on hypnosis and autosuggestion. Find out more at Wikipedia. February 12, 1844 - August 2, 1906. Malinda Cramer was the founder of Divine Science. Her writings and teachings developed out of her own personal illness, rendering her an invalid, and subsequent healing. She is responsible for one of the first new thought publications called the Harmony Magazine. Find out more at Wikipedia. "The ideal never comes. Today is ideal for him who makes it so." January 15, 1866 - March 30, 1954. At the tender age of 18, Dresser, along with his parents, began to practice mental healing. A little over a decade later, in 1895, his first full-length book, The Power of Silence, was published. Find out more at Wikipedia. 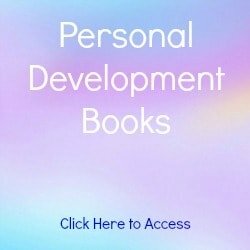 Alan Drew is a self-help author, international medium, psychic detective and spiritual life coach. 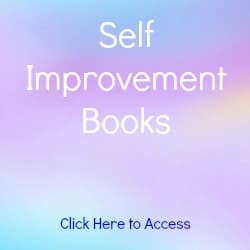 Alan wrote the ebook Self Help Techniques to encourage others to make the most of their lives by manifesting what they desire. "God, the only creator, is pure imagination." 1905 - 1972. Neville Goddard was born in Barbados, West Indies. At seventeen, he went to the United States to study drama. In 1932, he resigned from theatrical life and devoted his career to studies in mysticism. From the late 1950's he gave many lectures to capacity audiences. Neville's books focus on the creative use of the imagination. Find out more at Wikipedia. Neville is my very favorite metaphysical author. I have dedicated a series of pages to him on this site. "To acquire love, fill yourself up with it until you become a magnet." May 22, 1866 - November 27, 1949. Charles Haanel is best known for his book The Master Key System. His works have influenced millions of people including Napoleon Hill and in more recent times Bill Gates, co-founder of Microsoft, and Rhonda Byrne producer of The Secret. Find out more at Wikipedia. March, 19, 1873 - October, 28, 1958. Henry Thomas Hamblin was born into a poor family in London, but he refused to accept the poverty that surrounded him. Throughout his life Hamblin had many visionary experiences, which he described as follows: "All care, anxiety and fear vanished, and I felt that I was cradled in Divine Love...The deep peace of the Eternal flowed through me like a river; yet at the same time it was as though I was being carried along on a stream of Divine Bliss." After working various jobs in difficult circumstances, Hamblin became a very successful optician. Unfortunately, his success brought him a great sense of foreboding. He had horrific nightmares that he described as feeling like he was in hell. Added to this was the tragic and unexpected death of his young son. His situation got so bad that he was forced to end his career as an optician and move to the country. The move aided him in once again connecting with the divine presence. In the early 1920's he began to write and published a magazine called the Science of Thought Review. He continued to publish the magazine and write books for the rest of his life. October 26, 1883 - November 8, 1970. Napoleon Hill was an American author known for his best selling book Think and Grow Rich. He was an adviser to President Franklin D. Roosevelt. He sites his opportunity in 1908 to interview Andrew Carnegie, one of the world's most powerful men at that time, to be the major turning point in his life. Find out more at Wikipedia. "God gives some more than others because some accept more than others." January 21, 1887 - April 7, 1960. Holmes was born on a farm in Lincoln, Maine in the United States. He was the youngest of nine sons. He founded the spiritual, philosophical and metaphysical organization called Religious Science which belonged within the New Thought movement. Early on, he was heavily influenced by Ralph Waldo Emerson and Mary Baker Eddy. Later he resonated with the works of Christian Larson, Ralph Waldo Trine and Phineas Quimby. He then began giving lectures based on the works of Thomas Troward. His audiences grew in numbers and he was ordained as a Divine Science Minster. He was married for 30 years to Hazel Durkee Foster. They never had any children. Hazel died in 1957 and Ernest died three years later at the age of 73. Find out more at Wikipedia. "Law always works - anywhere - everywhere - now and forever." September 2, 1872 - November 21, 1958. Gardner Hunting was born Henry Gardner Hunting in Kilbourn City, Wisconsin, United States. He was an American pastor and wrote for the Unity School of Practical Christianity from 1925 til his death. He wrote 'Prove Me Now' and 'The Vicarion' but he is best known for his book 'Working With God'. "Promise yourself to give so much time to the improvement of yourself that you have no time to criticize others." 1874 - 1962. Horatio Dresser credited Larson as being the founder of New Thought. He was a great influence on Ernest Holmes who included Larson's teachings in his Science of Mind magazine. In the early 1900's he opened a New Thought Temple at his residence in Cincinnati, Ohio and published a leading new thought periodical called Eternal Progress, reaching over 250 million readers. Find out more at Wikipedia. Michael Lee is a modern day self-improvement author. He has undergone years of intensive research, personal experiments and trial-and-errors in the field of persuasion, conversational hypnosis, motivation, and copywriting. "Live up to the highest you know in all things." 1904 - 1971. Mildred Mann was the founder of the Society of Religious Pragmatism which later became known as the Society of Pragmatic Mysticism. She taught metaphysics in New York City and was active in the New Thought Movement writing a book called 'Become What You Believe'. In this book she outlined the 'seven steps in demonstration' which Mann cited as desire, decision, ask, believe, work, feel gratitude and feel expectancy. Find out more at Wikipedia. "Believe with all your heart that you will do what you were made to do." 1850 - 1824. Orison Swett Marden was an orphan by the time he was seven years old. Despite this, and living with several different guardians, he went on to achieve degrees in Medicine and Law at Harvard University. Samuel Smiles, a Scottish self help author and reformer, was the inspiration behind Marden's works. Find out more at Wikipedia. "I am master of my own destiny, and I can make my life anything that I wish it to be." December 5, 1906 - December 23, 1998. John McDonald was a writer, editor, fisherman and business historian. He wrote for Fortune magazine for thirty years. He also authored books on business, game theory, and fly fishing. He is best known for his work "My Years with General Motors", a memoir of Alfred P Sloan Jr.'s fifty year career in the automobile industry. Find out more here. "The world is only in the mind of its maker. Do not believe it is outside of yourself." 1856 - 1924. Militz had a close association with Charles and Myrtle Fillmore, founders of the Unity Movement, and wrote many articles and became a well known voice via their magazine Unity. She was influenced and inspired by Emma Curtis Hopkins and was ordained as a Christian Science Minister by Hopkins. She founded the Home of Truth which was based around Hopkins teachings. In the latter years of her life she developed her Home of Truth movement and became editor and publisher of her own new thought magazine, Master Mind. Find out more at Wikipedia. "We get the element of love only in proportion as we have it in us." April 5, 1834– May 27, 1891. Mulford was born in the United States in Sag Harbor, Long Island. He was an early founder of the New Thought Movement. He spent 16 years in California. Several of those years he spent in mining towns in search of gold. He became a wealthy man, not through this endeavor, but through his written works, which were often humorous. He also wrote many metaphysical texts including Thoughts are Things, Your Forces and How to Use Them and Gift of the Spirit. It is said that Mulford coined the term 'law of attraction'. He returned to Long Island and died a peaceful death at age 57. Find out more at Wikipedia. "Find out what you love to do and then do it. If you don't know your true expression, ask for guidance and the lead will come." May 20, 1898 - December 16, 1981. Joseph Murphy had a PhD in psychology and was a long-standing Minister of the Church of Divine Science in Los Angeles. He was heavily influenced by Ernest Holmes and Emmet Fox. He was ordained into Religious Science by Holmes in 1946. Like Neville Goddard, Murphy was a student of Abdullah who taught them the creative powers of the subconscious mind. Find out more at Wikipedia. May 31, 1898 – December 24, 1993. Norman Vincent Peale was a minister, professional speaker and author of 45 books, with his most famous work being The Power of Positive Thinking. During the 20th-century, he was one of the most influential ministers in the United States. In 1984, President Ronald Reagan awarded Peale the Presidential Medal of Freedom, (the highest civilian honor in the United States), for his contributions to the field of theology. He died of a stroke at age 95 in Pawling, New York. Find out more at Wikipedia. "My words are charged with prospering power." February 14, 1927. Ponder is a Unity Church minister, ordained in 1958, and has been described as "the Norman Vincent Peale" among female ministers. Her first husband, with whom she shared a son, died unexpectedly. She later remarried and wrote the wonderful book Open Your Mind to Prosperity. Ponder often spoke to audiences, small and large, all over the United States. While she no longer attends speaking engagements, she continues to research and write on the abundance of universal supply (God). Find out more at Wikipedia. "Appearance is only a manifestation and has no power itself." Earl Prevette was a highly successful salesman and author. He taught the principles of using the abilities within to achieve your goals. He personally completed 32 courses in law, passed the State Board of Examiners, became a licensed attorney-at-law and graduated college all within five months. He touches on how he achieved this in his sought-after book 'How to Turn Your Ability Into Cash'. May 8, 1929 – September 5, 1984. On December 8, 1963 an entity that called himself Seth emerged via a Ouija board to communicate via Jane Roberts of Elmira, New York. Seth's purpose was to dictate information about the nature of reality beyond the five physical senses in a trance mediumship that lasted for 21 years from 1963 to 1984. Find out more at Wikipedia. "A good teacher should not be measured by the words he says or the promises he makes, but by the RESULTS he produces!" Wellington Rodrigues is a Brazilian-born personal transformation teacher and coach currently living and practicing in NY/USA. He is the author of The Mental Alchemy Report, Breathe Your Limitations Away and Change Your Vibration, Change Your World. 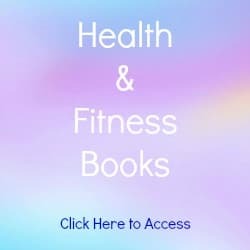 You can download these books for free here. "Eternity is not future. It is now. It always has been now; it will always be now." 1865 - May, 1953. Imelda Octavia Shanklin was born in Iowa to Francis Marion Shanklin from Indiana and Mary Ann Gillilan from West Virginia. From 1907 to 1930 she worked at the Unity School of Christianity. In 1918, during her service to Unity she was ordained by Charles Fillmore as a Unity Church minister. She worked alongside Myrtle Fillmore at Unity where she served as editor-in-chief of all Unity publications as well as editor of "Wee Wisdom"
"Selected Studies" and "What Are You?" are the most popular of Shanklin's books. Imelda died in May 1953 in Viola, Iowa. September 24, 1871 - October 17, 1940. Florence Scovel Shinn was born in Camden, New Jersey. She met her husband, Everett Shinn, a well-known artist, when she was an art student at the University of Philadelphia. The Shinn's moved to New York City both pursuing work in the arts. Their marriage failed and as a result of its breakdown Florence turned to metaphysics. She believed that people would continue to fail until they impress their subconscious with the conviction that they were successful. She believed this could be done via affirmations. In the early 1920's, she published her first book, The Game of Life, which contains a great deal of affirmations. Find out more at Wikipedia. 1860 - 1965. Elizabeth Towne was the founder and editor of the new thought Nautilus Magazine in which she published many articles by Wallace Wattles. She was a Methodist prior to becoming a new thought writer and publisher. Find out more at Wikipedia. September 6, 1866 - February 22, 1958. Trine had a great impact on Ernest Holmes, the founder of Religious Science, and Henry Ford. Ford attributed his success to Trine's works, in particular In Tune with the Infinite, which was published in 1897 and sold over 2 million copies. Find out more at Wikipedia. "Having seen and felt the end, you have willed the means to the realization of the end." 1847 - 1916. Troward was Her Majesty's Assistant Commissioner and a Divisional Judge of the North Indian Punjab. As with Trine, Troward's works had a very influential impact on the Religious Science Founder, Ernest Holmes. Troward only had one student, Genevieve Behrand. Find out more at Wikipedia. "The very best thing you can do for the world is to make the best of yourself." 1860 - 1911. Wattles' early years consisted of many failures which led him to explore the principles and philosophies that later emerged in his most famous work, The Science of Getting Rich, which was published in 1910 just prior to his death. He died a very wealthy man. Find out more at Wikipedia. "God is in the sadness and the laughter, in the bitter and the sweet." September 10, 1943. Neale Donald Walsch is a modern day spiritual messenger whose words continue to touch the world in profound ways. With an early interest in religion and a deeply felt connection to spirituality, Neale spent the majority of his life thriving professionally, yet searching for spiritual meaning before beginning his now famous conversation with God. His 'With God' series of books has been translated into 27 languages, touching millions of lives and inspiring important changes in their day-to-day lives. Find out more at Wikipedia and at Neale's website. 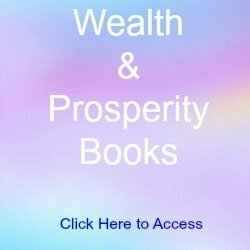 For a list of all the Free PDF Books on this site visit the Metaphysical Bookstore.